Maybe dunnes going to open stores across Russia!! flogging bags to gauge interest!! 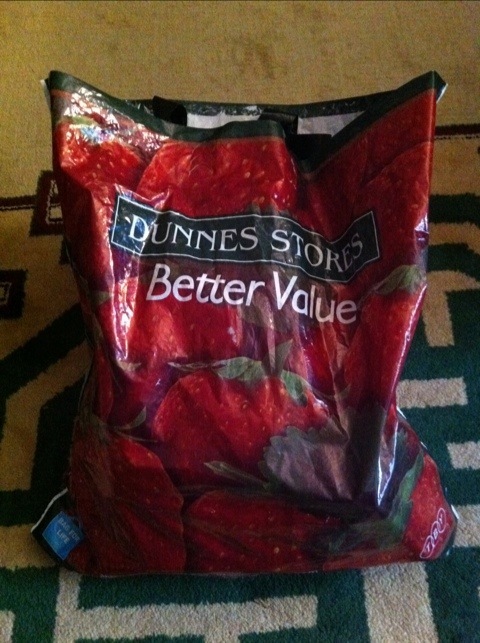 >Or did Dunnes just make far too many of the things and flog them off to foreign markets to >recoup some cash? This. They’ve been widely sold at the local markets in the 200-s period, now they are kinda rare though. Good to know. Still a bit weird though. I am wondering exactly the same thing. Currently seeing them everywhere in Samara and in Moscow too… Trying to trace the trail to an actual shop to stock up on cheap tights and useless homewares. I still have one I was given on the Trans-Siberian. A very weird souvenir from a far corner of the world.